You have questions about job resume format. Ask the Expert has answers to questions like the best resume format, what resume writing format works best and more. A big key to the ultimate success of your resume... and your job search overall... is the resume format that you choose. Most everyone knows about the chronological resume format, so it's the most common one used, especially by people new to the job market. But the chronological format isn't the best one for every situation. Two other options – the functional, or skills resume format, and the hybrid, or combination resume format, may actually be better in some instances. To learn more about the various resume formats, visit our "How to Pick a Resume Format" page. But, even though I've devoted quite a few pages on the site to choosing and using the different formats for a resume, I still get a lot of questions here around the topic of best resume format and so forth. And the questions aren't just about the three main job resume formats either. Some of them are about file formats, such as plain text, MS Word vs. PDF, etc. People also ask about which fonts work best on a resume, how to resume wording, etc. So I decided to dedicate a whole section of Ask the Expert just to cover these questions about the job resume format! You can scan the questions you'll find here to see if there's already an answer posted that addresses what you wanted to know. Please take time to peruse the questions at the bottom of this page to make sure I haven't already answered the question you have. 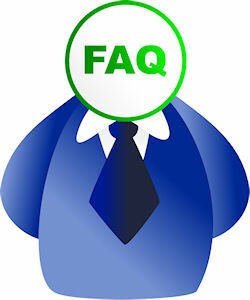 You can also look through our archives of older questions about resume writing format. Click below to see questions other visitors to this page have asked about best resume format, etc., along with my answers. (To see the answers to some of the questions, you may need to click the Comments link.) Please don't repeat the same questions. How do I handle a 2-page resume? What format works best for military veterans? Is there a place on the resume to reflect my 7 years as a homemaker? Which resume format is best for a stay at home mom returning back to work? What format should a resume be in if not Word? What does "Word format" mean?